We have had the pleasure of meeting and serving many fine people in the Mopar restoration world over the years. Below are some comments from several of those we feel fortunate to have helped. I would like to take this time to send out a special thanks to Bill for all the help and knowledge he has given me in the past several years with restoring my 71 Challenger convertible. I had purchased the car back in 99 with intentions of a full restoration, some day. While being a college student during that time the money just wasn’t there so the car fell by the wayside for a good 10 years or more. Once I landed a great job and got my finances squared away, I started to work on the car. This was about the time I had met Bill. The first thing I had purchased from him was a set of correctly restored 3-speed wiper linkages. They were absolutely perfect. Bill has been of great help when it comes to what’s correct for my car. When I bought it, the car had absolutely nothing on the front end other than the frame. With many questions asked, the front end is finally coming together. Bill really has become a mentor to me. With all this knowledge and wisdom on Mopars, he has given me the inspiration and motivation to really focus on getting the car done. He has done excellent restoration work on everything I have sent him from tiny nuts and bolts to parking lamps, a/c lines and motors. I swear there’s nothing he can’t do. I can’t thank him enough for all he has done. Bill was recommended by several forbbodiesonly.com guys said he was the best and have to agree mine came out beautiful, thanks for the high quality work! Bill did an incredible job in helping me with getting me the parts I needed fast so that I’d have them by the weekend. He was quick to act, responsive, and extremely courteous. Finding customer service of that caliber is rare these days. I wouldn’t hesitate to purchase from him again or recommend him to others. Bill, just wanted to let you know I got the motor and it looks really nice, very pleased with it, especially for the $$ and turn time compared to others. Thanks very much for the quick turn and working with me on the custom small shaft crank arm for my 71 Cuda. Bill: Thank you for the quality job you recently performed on my wiper motor. Not only are you a gentleman and a craftsman, you are also a very good businessman. The turn-around time for my motor was less than three weeks was unexpected and is certainly MUCH better than the months others take. Once Bill was able to get into my motor, he explained to me what it needed and the cost involved. I strongly recommend Bill to anyone and everyone who is in the market to have a quality wiper motor rebuild. I live in New Zealand and it was important to me that I got the work done restoring my parts by someone I could trust. I will not bother relaying the stories but Bill has really helped me out twice. He offered his assistance I did not have to ask. That is the definition of great service. Bill communicates in a timely fashion, sticks to his prices and delivers beautiful work on time. I have no hesitation recommending Bill Meerholz Enterprises to anyone. Hi Bill, Just wanted to take a minute to thank you for the quality work you performed on my wiper motor and A/C blower motor. Talking to you on the phone was/is always a pleasure and your attention to detail is second to none! 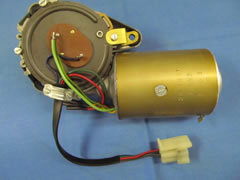 The wiper motor looks "correct" not fake like other restoration shop's plating. 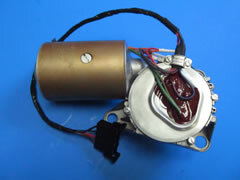 The blower motor is absolutely new!!! I really appreciate craftsmen as yourself in the hobby. 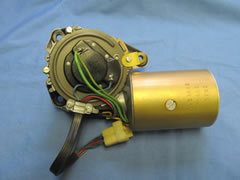 I'd like to thank Bill Meerholz for the recent restoration of my 3-speed wiper motor for a 1972 'Cuda - the barrel plating on the motor is the correct assembly line finish (unlike other so-called "correctly" restored wiper motors that I've seen). His extensive experience, knowledge, skills and customer service are par excellence. I'll be sending more items to Bill in the future and I highly recommend his restoration services for your Mopar! 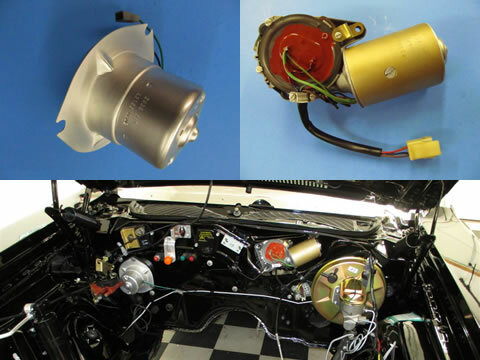 Just wanted to take a moment and thank you for your attention to detail and craftsmanship you showed in restoration of the parts I sent to you on my '70 Dodge Challenger R/T. I have been in the process of restoring my car for a few years and every piece I send out for restoration I hope that the restorer has the same attention to detail as I do. You my friend have that attention to detail. As a business owner myself I know that customer satisfaction is the key. You took the time to talk with me and understand what it was I wanted to accomplish before I even sent you the parts. You kept me informed of the process which is much appreciated. I never felt like I was just another part to you but felt more like a friend who you happened to know. You are a true craftsman. I will not hesitate to send more parts your way and will be sure to tell my friends that your the "go to guy" for parts restorations that is honest, correct, and fair. 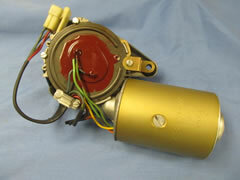 Bill has helped me with restoring the A/C motor and 3-speed wiper motor on my 1971 'Cuda coupe. The A/C motor is nothing less than phenomenal. It not only looks like brand new, but it also works like brand new. I am looking forward to many great years of service from this gorgeous looking (and functioning) piece. The 3-speed wiper motor that Bill restored for my car was nothing short of a disaster. The plating on the barrel was really bad, and the wiper motor pretty much needed everything to make it operational again from the wiring harness to the internal gear mechanism. I was very happy that Bill was able to cater to all of my needs. Now the plating on the barrel of the motor is exquisite. It really looks factory new. The other metal portions look just like new as well. He was able to install an NOS wiring harness that looks, again, just like new NOS factory part. 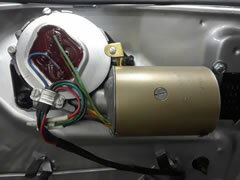 He Also restored an original 71 'Cuda dash road lamp wire harness. I am more than happy with these parts. By using Bill's services, I am able to have the proper date codes on my car because of what Bill did for me - and that makes me one happy 'Cuda owner. It's really a win-win for me. I received electric motors that not only look great as they did when they were new, but they also function as new; which is just as important to me. Thank you Bill, I truly appreciate it. Here's a long overdue thank you to one of the best kept secrets in the Mopar restoration world. Bill has been a great asset to me over the years, not only for providing great restoration services and impossible to find parts, but also educating me along the way. It's great finding out and learning new things about these Chryslers that we all love. Bill is, in fact, the main reason I have decided to restore another Mopar (at least that's what I told my wife), because it will be much easier this time around knowing that I have Bill's expertise at my fingertips. I would highly recommend Bill's knowledge/advice and restoration services to anyone in the Mopar world. He is one of my main go-to guys. Many thanks, once again. Bill, I want to start out by saying thank you. Trying to restore a Mopar properly can be a great and exhausting task, never mind trying to find all the correct parts, someone who has the knowledge to restore parts and to know what is truly correct. Well lucky me, I not only found the correct parts for my numbers matching 1970 cuda 440-6 BBL but the man who knows those very parts and how to restore them. I have wasted countless of dollars on items that people claim are NOS, Factory or OE. Well not anymore thanks to you, your expertise and honesty, as well as your pricing has restored my faith in mankind; your professionalism is exemplary. I have found many hard to find parts and have had countless parts restored with Bill Meerholz Enterprises with no problems, and even that extra bang for the buck. Thank you so much Bill for all that you do. It's a pleasure doing business with you and recommending your services to others. First off, I can say that I'm very pedantic when I work on my car. I want everything to look presentable and Bill has never let me down on any part I have gotten from him. He is very skilled and professional in his resto-work, and always does that extra little bit to satisfy a customer. When I first contacted Bill I was surprised with his knowledge about Mopars, and he is very helpful to share this info further. He has helped me out many times with expert advice on detailing and correct factory finishes on parts for my 71 340 Cuda he has done for me. He is an honest straightforward guy. I can highly recommend him for anyone who wants topnotch help and parts restoration in the Mopar jungle. I have had the good fortune to get to know Bill over the last year. I found him through his website when I started looking for parts for my AAR. I was as inexperienced of a Mopar owner that you could find. Without Bill's knowledge, expertise, patience, and help, I would have been quite literally lost during this project. Bill never let this happen. Every problem I have encountered, he has found a solution for. He always finds the impossible to find part, or repairs the unrepairable. I am quite sure he would have been better off without a customer who consumes so much of his time, but he continues to deliver an unbelievable level of service. It's impossible to overstate the quality of the parts that he restores. I believe the level of service he provides is a reflection of the man himself. If you are looking for the highest level of restoration for your car, you won't go wrong using Bill Meerholz Enterprises for any needs. I've had the pleasure of interacting with Bill on several occasions, and have purchased several NOS parts from his collection for my 1970 Cuda 440 6-pack. In all instances, Bill has been extremely honest, offered his items at very fair market values, and has delivered EXCEPTIONAL parts. Having restored several classic vehicles, I have interacted with countless individuals claiming to have the knowledge of "correctness" and the also the best restoration parts. After interacting with Bill, and completing a couple of transactions, it was easy for me to see how inferior all other vendors actually are. Bill: It's been a pleasure to speak with you, and everything you have sold me has far exceeded my expectations. I look forward to the purchase of future parts to make my vehicle more accurate. I wish you possessed an unlimited supply of parts, as I would only purchase from you! Thanks again for your honesty!! I just wanted to drop you a line or two and let you know how grateful we are to have done business with a gentlemen and very much so a honest person. In this day and time you just do not know the number of dishonest people we have ran into just trying to get our 1970 AAR 'CUDA restored. I can't tell you the wasted money spent just to have items redone at another shop or two. 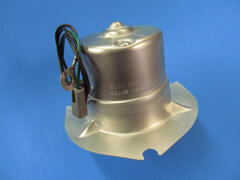 When we made contact with you looking for a complete original restored idle solenoid switch, we had no idea that this switch would be as nice, for the pictures you sent really did not do the part justice. Now we have at long last found an upstanding person who will not only stand by his words but will in the long run save us a lot of money, in not having to have any items redone because of poor workmanship. Our only regret is that we did not know of you until now. You are truly a positive, and honorable person who without a doubt is a talented individual to the MOPAR parts and restoration business. P.S. We will be contacting you in the near future for other MOPAR parts which we will be trying to locate and buy. In 2007 I purchased a 1970 Challenger R/T in need of a total restoration. Early in the restoration I bought an NOS alternator bracket from Bill Meerholz. When I picked the bracket up we had a long conversation about my car and his perfect AAR Cuda. That day I came to understand that Bill is not only a man of great integrity but he is one of a handful of people on the planet that knows every detail of every part that make up these old Mopars. Besides having a large stock of NOS parts Bill is a master craftsman in the restoration of parts. He restores wiper and blower motors and other complex assemblies using proprietary processes that allow him to phosphate and zinc plate to the same color and quality as original. His restored bare metal parts look like they did the day the assembly line worker picked them out of the bin and bolted it on the car except Bill's finishes are more durable. My Challenger far exceeds my original expectations due in large part to Bill's wise counsel, his provision of impossible to find NOS parts, and his expert restoration and rebuild skills. I highly recommend him. Sincerely, Joseph J. Palka, Jr., P.E., P.P.